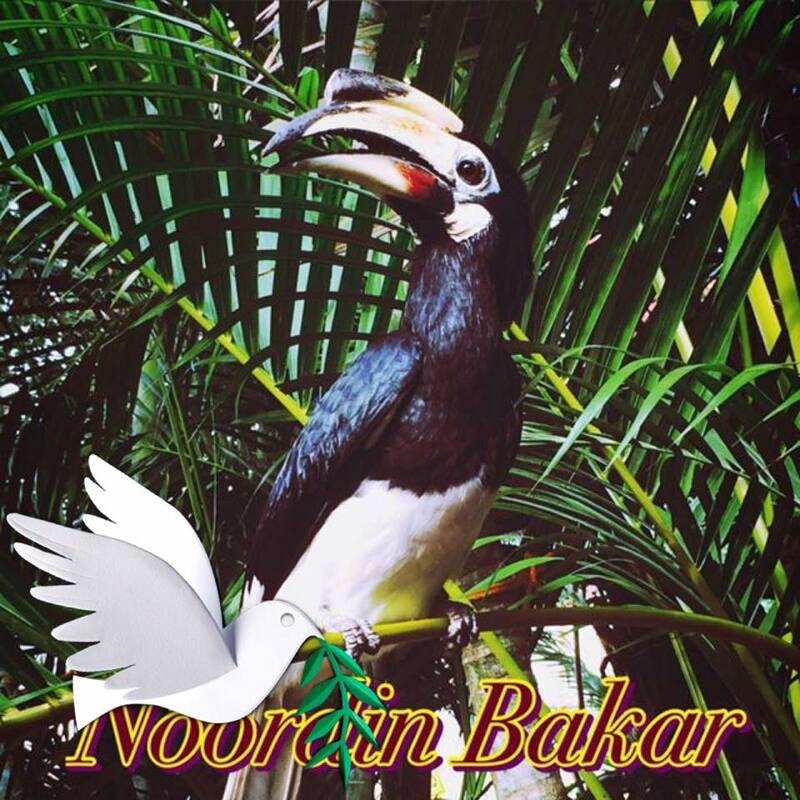 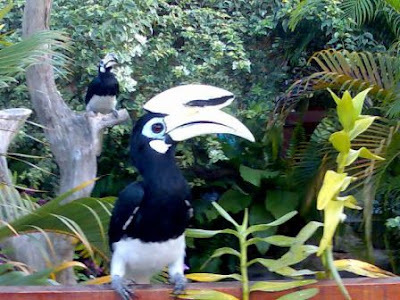 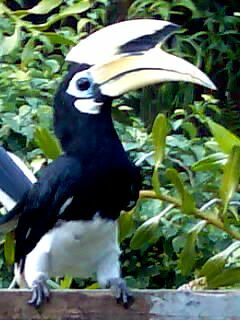 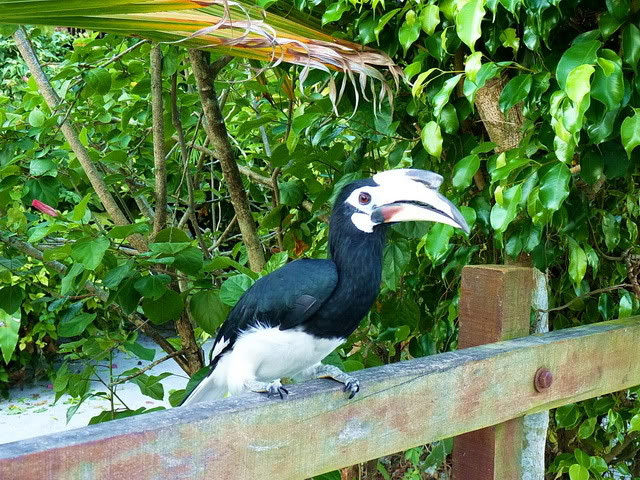 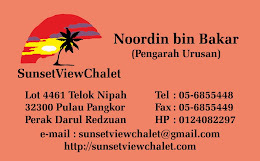 Hornbills are part of the family at Sunset View Chalet. Catch up with our hornbill feeding time, which is at 6:30 pm daily. 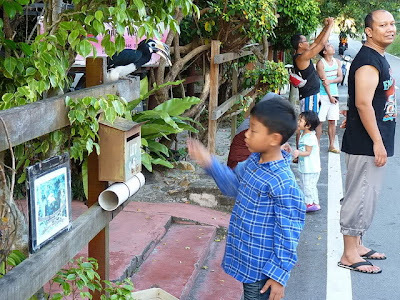 Some birds accepts food served by hand. 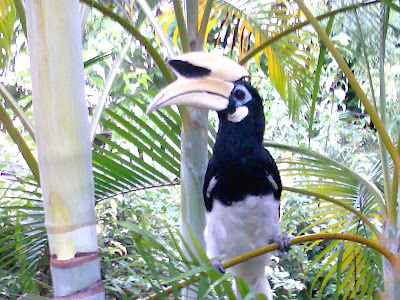 It's fun to watch them swoop acrobatically to catch chunks of bananas thrown into the air! Here's a footage of the birds coming to feed.